Low self esteem causes more damage that we think...but what causes low self esteem? What about Self-Concept? Skip Lackey and Aaron dive into the troubles and solutions surrounding esteem issues in kids and teens. 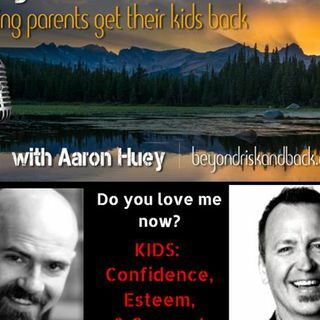 Do you love me now?Kids: Esteem, Confidence, & Concept discussion with Skip Lackey and your host Aaron Huey, owner of Fire Mountain Residential Treatment Center. Skip has been in the personal growth, leadership and wellness fields for over 30 plus years and has worked directly ... Más informaciones with over 15,000 clients, taught over 1000 workshops and done over 1000 personal appearances. He was the CEO for Evolution Unlimited – the personal growth seminar company that offered a modality called - The Journey in North and Central America before he took a much needed break from traveling and is thrilled to be back teaching The Journey again in the US and Canada.